SKU: PD-HOR. Categories: Pendants, Spirit Animals. Power, Freedom, Victory in War. The Celts were skilled horsemen and the horse was a powerful symbol of nobility and kingship. 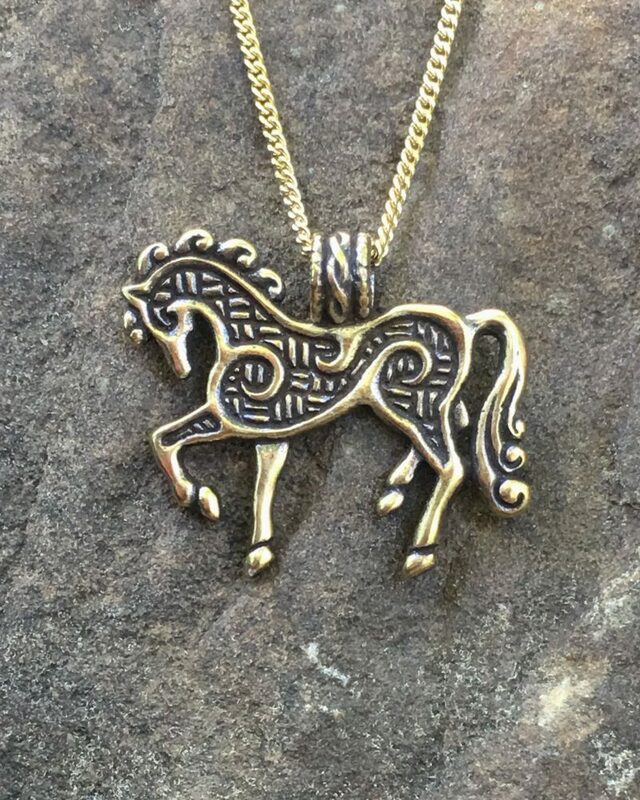 Gallop through your day with our Talismanic Horse Pendant! Available in bronze and sterling silver, this pendant is 1 ¾” by 1 ¼”(44 x 31 mm), and comes with an 18” gold or silver-tone steel chain.